At the VIV in Utrecht (Netherlands) multinational feed additives producer Nutriad once more hosted a traditional herring party. A large group of industry professionals and academics joined the Nutriad team to make this traditional event a great success. 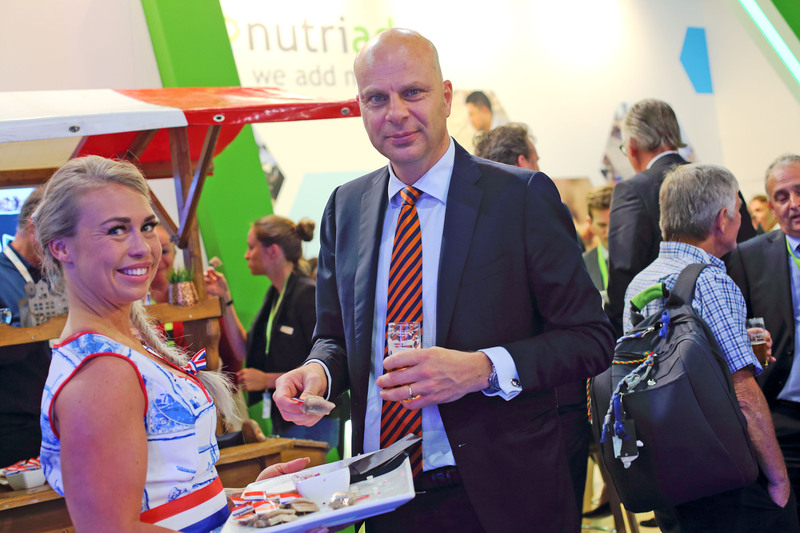 Every year in June, at the start of the summer, a Dutch tradition creates networking opportunities across the country. Aattending a Herring party is as much about meeting interesting people as it is about eating herring and most would argue the former is paramount. The Dutch have been eating raw herring for hundreds of years and at the VIV Nutriad invited business partners, colleagues and friends to share this tradition. Enjoying local drinks, herring and live music the event was received very positively by the international visitors. “Our guests at the VIV in Utrecht have come to expect a herring party from us. At the end of another long day at the show they like to join friends and partners from the industry at our booth. This is the moment where we focus on personal stories and relationships that create the foundation for sustainable business relations,” stated Nutriad CEO Erik Visser.